And the Word became flesh and made his dwelling among us, and we saw his glory, the glory as of the Father’s only Son, full of grace and truth. . . [And] from his fullness we have all received, grace in place of grace, because while the law was given through Moses, grace and truth came through Jesus Christ. 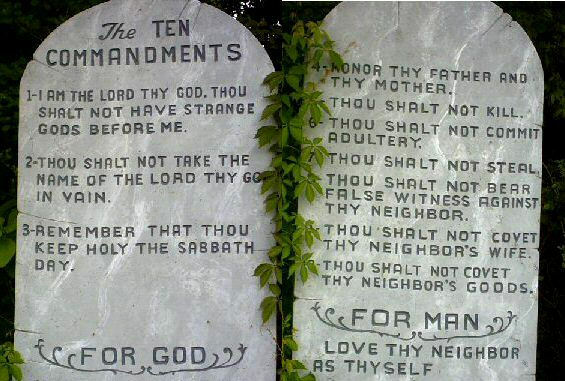 By condensing “the whole law and the prophets” into two Great Commandments Jesus is also showing the division of the Decalogue, the Ten Commandments. 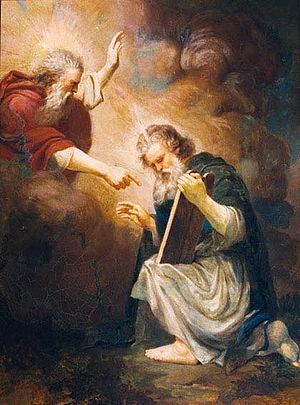 The first three Commandments are ordered to God and the seven remaining Commandments are ordered to neighbor. 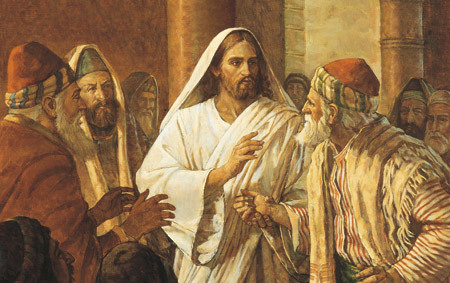 We might see this teaching moment as Jesus making the transition from the Mosaic Law to the Law of the Gospel, the Law of Love; Love God and Love your neighbor as yourself, and “the whole of the law and the prophets” will be upheld. “From His fullness [of grace and truth] we have received grace in place of grace, because while the law was given through Moses, grace and truth came through Jesus Christ.” With Original Sin sanctifying grace was lost to mankind and Christ, in his mission and Paschal Mystery, restored sanctifying grace, there by justifying us and enabling us to enter the Kingdom of Heaven. How then was the Mosaic Law a grace? The Law and the prophets, during that intermediate time of Salvation History was given as a grace, an actual grace, external to the soul, but for the same purpose of internal, sanctifying grace; to assist mankind in leading a moral, worshiping, civil life that orders man toward God and man’s destiny of eternal life. Throughout that historical period, in addition to the static Law, it was the vocation of the prophet to go to the people of God and preach righteousness to them. The two greatest sins were infidelity and neglect of the widows and orphans, the poor, the neighbor. The two greatest sins, therefore, were the antithesis of the two tablets of the Decalogue, and the two Great Commandments of Jesus. This right ordering or righteousness, culminates as the overarching theme of morality, which, in progression, moves, first through, living a moral life which properly enables the living of a spiritual life. Man, from the beginning could only fulfill the natural desire for God by God’s supernatural assistance. It is not and has never been in God’s Plan of Salvation that man could, on his own, get himself to heaven. In God’s Eternal Wisdom, He gave us the natural desire for the supernatural but no natural means for fulfilling that desire. sustenance of sanctifying grace, but lost by Adam’s act of disobedience; then supernaturally given as the actual grace of the Mosaic Law and the prophets until such time, “in the fullness of time,” God would send His only begotten Son to restore that supernatural grace of original righteousness, sanctifying grace. And so we “find ourselves” now back in that teaching moment as Jesus, who has “come to fulfill the Law, not to abolish it,” condenses “the whole Law and the prophets” into the two Great commandments that correspond perfectly to Love, love of God, love of self, and love of neighbor. And yet, these highest forms of love are expressions of love that man is still not capable of, at least not on his own. comes “through Jesus Christ.” But how is it that we receive this supernatural grace? The supernatural being received by the natural, is not, cannot be, merely an “atmosphere” emanating from Jesus to be absorbed by humanity. Why can we say this? Because God works by intention. He willed creation, He willfully offers His love and salvation, unconditionally; yet there is a form of condition, we have to accept both His love and salvation. This exchange is covenantal, a collaboration of intent. His grace, therefore must be intentionally offered and intentionally received; and this exchange of intention, the exchange of the supernatural for the natural requires a medium through which the exchange is acknowledged. A sacrament is an outward sign, instituted by Christ to bestow grace. This is the definition that a certain generation learned from an early age from the Baltimore Catechism. In today’s Catechism of the Catholic Church, promulgated as a concise handbook of the Faith, gives the same definition in an expanded, more eloquent form, but no more or less than that timeless three-part definition of our youth. CCC 1131 The sacraments are efficacious signs of grace, instituted by Christ and entrusted to the Church, by which divine life is dispensed to us. The visible rites by which the sacraments are celebrated signify and make present the graces proper to each sacrament. They bear fruit in those who receive them with the required dispositions. Outward signs, efficacious signs, natural signs of supernatural grace; signs that carry both the gift and the mutual intention of the giver and the receiver. The sacraments, instituted by Christ and given to the Church are a means of fulfilling what is prophesied in the Prologue of the Gospel of John; “from His fullness, we receive grace in place of grace . . . and grace and truth come through Jesus Christ.” And this grace and truth, instituted by Christ in the natural elements of the sacraments, are the means of fulfilling our natural desire for God, and our desire for God is fulfilled in our salvation and entering into the Kingdom of Heaven. Although the Eucharist is the most magnificent of the sacraments, in its excellence of Real Presence; the greatest of the sacraments, the first sacrament, is Baptism because it bestows an infusion of sanctifying grace and opens the soul to the other sacraments and the reception of grace that they bestow. However, just as the sacraments are a means of attaining grace and grace is necessary for our salvation, grace in itself is not our salvation. Grace enables us to respond to the two Great Commandments and response is action, to respond is to act; and an act in response to the Commandments, as Jesus told the Rich Young Man in the Gospels, is a means of inheriting eternal life. Acts in relation to God and neighbor, and our salvation are salvific acts. Acting toward any good is called virtue and acting toward God and neighbor in relation to salvation is salvific virtue. 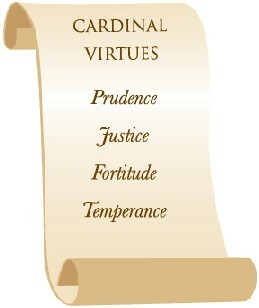 In this we see that there are two levels of good and two corresponding levels of virtue. Temporal good, the good of our wellbeing and the wellbeing of others with the corresponding acts of virtue towards that good; and salvific good, the good of our salvation and the salvation of others with the corresponding acts of virtue towards that supernatural good. Furthermore, acting in a particular way, whether temporal or salvific, is virtue of a particular kind. 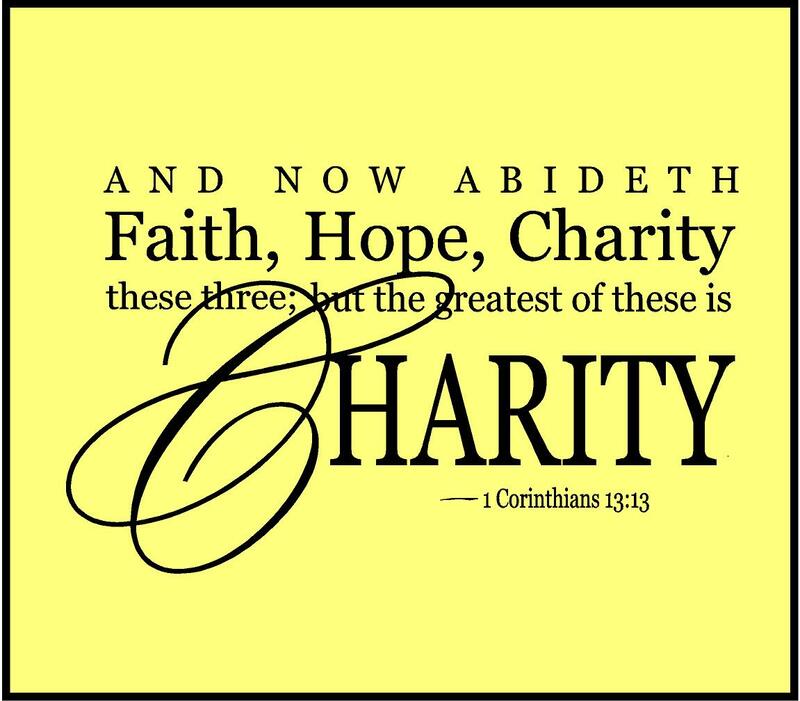 In the progression of our study of Conscience and Virtue, we will next look at the three Theological Virtues of Faith, Hope, and Charity, and how they are what they are, in an efficacious way as infused in the soul for salvific acts, in comparison to similar virtues that can be acquired for temporal acts. Acquired virtues facilitate acts toward temporal good by persons whether they are baptized or not, whether they are believers or non-believers. Any person can act toward temporal common good.